Very simply, our frames prices are so incredibly low because we are a 100% online retailer. We have no retail costs to pass on to consumers. As soon as you place your order, we proceed to lens production and glasses assembly immediately, bypassing typical retail costs. This is why most other eyeglasses retailers have to mark up their prices so high. Another reason why we have such low prices is that we do not carry “designer” frames. Typically, the frames that are available to most optical stores are patterned after “designer” frames although they are not “knock-off” cheap frames like you sometimes see on the internet. Often, it is the other way around and “designers” simply choose already available frames from eyeglasses manufacturers and put their logo on them. Our mission is to provide quality, stylish and durable frames at a price that allows our customers to have many pairs. Put a pair by the bed, another in the car, a tinted pair in the boat, (a cool pair in the fridge? – yeesh!). Maybe a blue pair to go with that great tie or red to go with that new dress? What is the quality like with your eyeglasses? Start by choosing a category from the menu at the top of the homepage (Women, Men, Kids, etc) or click “Shop” to see all the frames on our site. You can then narrow your search by frame style, shape, size, material, color, etc. using the filters on the right side of the screen. When you see a frame that you like – click on it to see a close-up of the frame, available colors and also check the measurements against your own glasses to make sure that they are in the right size range. You can use our try-on system to get an idea of what the frames will look like on you, by uploading your own picture. Once you are have chosen your frame, now you are ready to fill in your prescription. After you have entered the info, you can add to the cart and you are ready to keep shopping! Your prescription information will be saved and appear in the boxes below any pair of eyeglasses you choose from there forward. When you are ready to checkout, your prescription information is also going to be with your selections in the cart for your review. If you wish to change prescriptions on your next selection (perhaps you are buying for a child or as a gift) you simply change the numbers in the prescription box and it will be saved and available as you shop. Note: we do not keep prescription or credit card information in your profile once you complete your purchase and leave the site. We encourage you to keep your prescriptions up to date. At least every two years. Even if you feel that you can see well, its important to see your doctor in order to make sure your eyes are healthy. There are many issues that can come up regarding the health of your eyes – so please keep on top of that. Your optician or eye doctor is required to provide you with your prescription. Be sure to ask for a clear and legible copy. Also make sure to ask for the PD (Pupillary Distance), as many doctors will not give that to you if you don’t ask. You can log in to your account online and you will be able to see the status of your order. You may also contact our Customer Service via email at support@greateyeglasses.com or phone at 1-888-870-9193. Prescriptions for contact lenses are different and will vary when compared with prescriptions for glasses. Make sure the prescription you have specifically matches your need for glasses. What happens if I fill in the form incorrectly? Call us as soon as possible at 1-888-870-9193 or email us at support@greateyeglasses.com so that we can correct your order. Do you accept cash and checks? Currently, we don’t accept cash, checks or money orders. We do accept all major credit cards. We use Authorize.net to securely accept Amex, Visa, Discover and MasterCard payments. SSL encrypts your order information to avoid the decoding of that information by anyone other than GreatEyeglasses.com. To check the security of your connection, look at the lower left-hand corner of your browser window after accessing the server. If you see an unbroken key or a closed lock (depending on your browser), then SSL is active. You can also double-click by looking at the URL line of your browser. When accessing a secure server, the first characters of the site address will change from “http” to “https”. Can I get a sales invoice? Yes, you can. Our invoice shows the cost of each pair of glasses separately. However if you need a receipt with more detail (e.g. the individual cost for lenses, frames and tints) you can request this from our customer service reps and we will be happy to email you a copy of the invoice. Customers who need it for reimbursement by their insurance companies or work place can use this invoice. 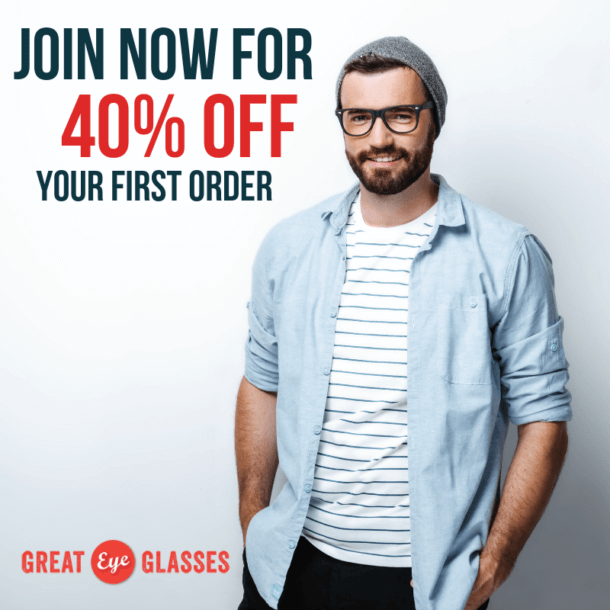 Use the link at https://greateyeglasses.com/referafriend to invite your friends to Great Eyeglasses via email, or share your referral code on Facebook or Twitter. When you send a friend $10 off their glasses, you’ll get a $10 credit when they complete their first order. This credit will automatically appear on your account. You can view your credits by logging in to your account and selecting “Referrals” on the left hand menu. When you place your next order, the credits will automatically apply to your cart at check-out. How long will my eyeglasses take to prepare? 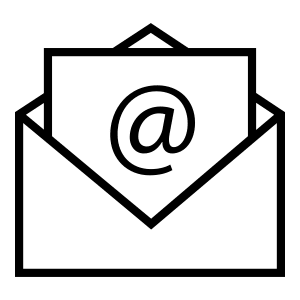 Make sure you write down your order number, contact us within the hour of ordering and email us at support@greateyeglasses.com or call us at 1-888-870-9193, and make sure we have your correct prescription. What if I get a pair of glasses and I can't see properly? If you get your glasses and you cannot see, then there are three things that can cause it. Your doctor gave you an incorrect prescription, you entered the prescription information incorrectly on our site, or our lab made an error. In order to fix it, it is extremely important that we determine where the error is so that the new pair won’t have the same problem. Please start by examining your receipt that was emailed to you and compare the prescription information to the prescription paper from your eye doctor. If you entered the information incorrectly, please let us know and we will send you a form for the return. If you entered the information correctly – You should bring the glasses to your doctor. If the doctor made the error, then you have the glasses right there with you to compare the prescription in your new glasses to the prescription that you received. The doctor can determine this in about 3 min and you usually don’t need to make an appointment. Just give them a heads-up call. If the doctor finds that the error is ours, then you can contact us and we will have them replaced immediately. Please do not send the glasses back to us with no notes or reasons for return. When you receive your glasses, they may need a little adjustment. Maybe the nosepieces are a little loose or tight. Maybe the ears are not bent right and they fall down your nose. Sometimes the arms on plastic frames seem a little “bowed”. These are all natural because, even though we choose “average” sizes for you, everyone is a little different when it comes to fitting. It’s very easy to adjust glasses. It may not be spot-on right away, but over a few days you will get them right. If you always bought glasses from your Optician before, then that person adjusts them and, for the most part, they probably get it right, but often times you have to go back or you just bend them as you see fit. They use their fingers and sometimes a small pair of needle-nose pliers to work on metal frames, and a container full of warm, glass beads to heat up plastic so it’s flexible. If you have metal glasses, the nosepieces can be opened or closed by using your hand. There is really no need to use a pair of pliers or any kind of hard tool. The same applies to the part that goes over your ears. Just bend them with your fingers and try them until it’s comfortable. It’s probably obvious, but you want to make sure the nosepiece is wide enough so the glasses sit on the place on your nose that you like. Then you can adjust the arms so that they don’t fall off of your face if you lean forward. Don’t try and get them to sit on your nose in the right place by adjusting the arms. It’s really hard to get it right if you do it that way. Remember…nose first and arms second! With plastic frames you need a hair dryer or warm water to warm them up (do not use hot water as it can mess up the Anti-Reflection Coating if you have it). The same approach applies, as you would use to adjust metal frames. You want to bring the nosepieces together or apart until they sit on your nose at just the right place. Then you can adjust the earpieces. Sit down with a hair dryer held between your knees and have it facing away from you. Warm up the bridge of the glasses a bit by putting the bridge (the piece between the lenses that sits on your nose) right up against the hair dryer. Maybe about 20 seconds at first. Then feel it and see if it feels warm to hot. If not, then do it for another 10 sec or so. Now pull them away and hold them with both hands as though you are looking at them on someone else’s face. Put your index fingers on the top of the frame and your thumb on the bottom like you were picking up something off of a table. Then bend them so that the bottom parts of the nosepiece part of the frame starts to come together. NOTE: You do not need very much adjustment to make a huge difference in how they feel, so just do it a little bit – not so that you can even see a difference. WARNING! The glasses will be HOT – so be careful when you put them on your face. Now just do it a bit at a time. In front of the dryer for a little heat, a little flex, and then try it on. BIG NOTE: You do NOT want to flex the frame very much because you could pop the lens out. When the glasses feel like they are sitting comfortably on your face, you can work on the arms. Do the same thing with the arms – one at a time. If you set the glasses upside-down on a flat surface, so that the bent part of the arms are on the surface, you can see if the arms are hitting the surface in the same way. One may be raised a bit compared to the other. It could be OK as not all people’s ears are the same height on both sides – but its a good way to check anyway if they feel like they are off but you can’t tell why. You can even bend the arms so that they bow in or out from your head depending on whether you have a round head or not. We also suggest trying an optical shop; in most places they will be happy to assist you free of charge. Your doctor is a good source as well because that office will want to retain you as a patient and making sure you see well should be their main focus and not just selling you glasses. You can also adjust them yourself. All of our frames have a one-time replacement warranty, good for one year (12 months). Our lenses are under warranty for 30 days. Please contact us if there is an issue within this time period. We will replace them at no cost to you. If something happens to your frames after that time, please contact our customer service to see if there is a way we can help. 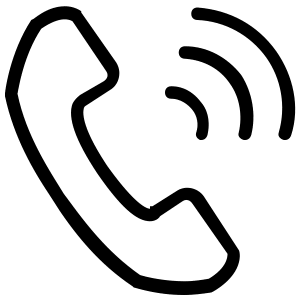 Customer support contact information: by email at support@greateyeglasses.com or by phone at 888-870-9193.